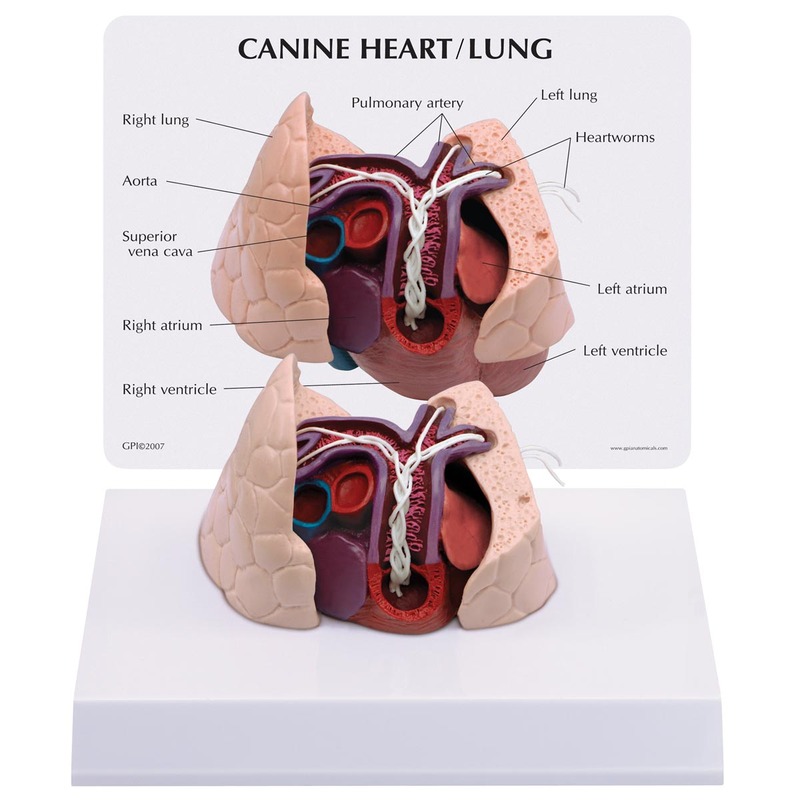 Canine Heart and Lung Model. Average canine heart and lungs infested with heartworms (dirofilaria immitis). Cut-away view demonstrates structures in the heart (right ventricle, pulmonary trunk, pulmonary arteries, and lungs) where adult-stage heartworms are normally found.